It’s a refrain that crops up as a running gag in Deadpool 2, and though it’s funny metacommentary the first couple of times, it’s also true. Even when Deadpool (Ryan Reynolds) doesn’t call it out, you often feel it in the punchlines that thud. 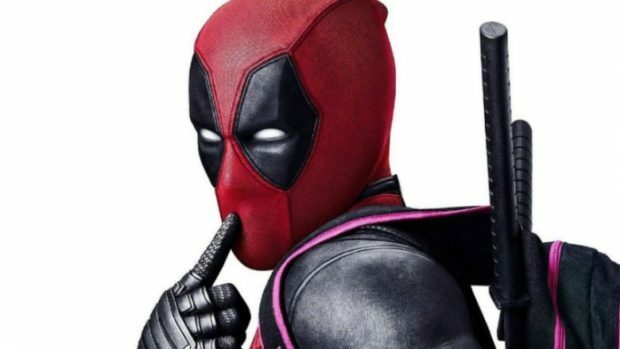 While still funny, and arguably armed with a better plot than the original Deadpool, the sequel feels a little tired, and definitely not as hungry as the first. That’s because sequels have to deliver more of the same, or so conventional wisdom goes. So Blind Al (Leslie Uggams) and Weasel (TJ Miller) return, but not given anything to really do. At least the film gives Dopinder (Karan Soni) a bit more of an arc; it has to struggle to justify his being there. At least the returning jokes raise the stakes a little. The titles serve as parody and commentary on the opening sequence, while complementing the titles from the first film — even directly mirroring a joke. And that opener definitely raises the stakes, maybe setting up growth for Deadpool. But as Reynolds plays him, we already know that he’ll be whatever the story needs him to be — good, bad, conflicted, as long as he’s funny. Facing Cable (Josh Brolin), he has to be, and both acknowledge their origins come from a dark time in Marvel Comics — the ’90s. Writers Rhett Reese and Paul Wernick do a good job of stripping Cable down to his simplest essence, though that also means they miss taking a shot at tangled X-Men continuity. It feels like the only shot they don’t take. It seems that they were going to put Mr. Sinister in here as well, since Eddie Marsan plays the Headmaster of Essex House. Instead, the plot takes another page from God Loves, Man Kills, and it’s just as well. There’s so much else going on here that another villain would make this incomprehensible. Though bless them for an incredible build-up to another character as poorly served as Deadpool in earlier Fox movies. Originally just doing fan service to an internet meme, this time around the Juggernaut (also Reynolds) gets the respect he deserves, and the best theme music of any of the X-Films. But Deadpool 2 does offer a few new things. 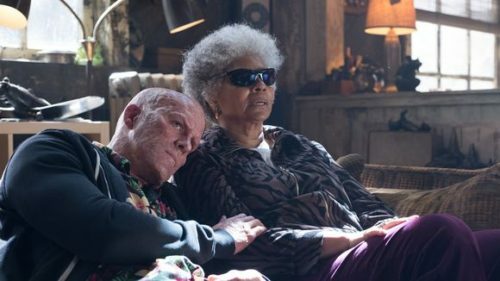 As Domino, Zazie Beetz makes a good case for a solo film, and a stronger foil for Deadpool than Cable does. Luckily, she’s already signed for an X-Force film; whether it’s Fox, Comcast, or Disney, they’d be fools not to make it. However, they’ve already been fools not to give Morena Baccarin as much of the spotlight as she deserves. Since her Vanessa does exist in the comics as Copycat, just maybe there will be more for her to do in the future. Also new to the franchise, director David Leitch continues proving that he’s one of the best action directors working. The fight scenes crackle as much as Leitch’s work on Atomic Blonde, but like that film, they’re the strongest pieces. Leitch doesn’t string the quiet(er) moments together as well as Deadpool director Tim Miller did. It gets the job done, but if a Deadpool 3 follows, it would be good to return to an against all odds feeling. The first film was something that the studio didn’t want to make, so the whole crew had to get creative. Deadpool 2 isn’t exactly complacent, but it isn’t exactly the comedic punch in the nethers the first one was. Reynolds inhabits the character better than any other he’s ever done, but he — and the film series — need to do something to get edgy again. That also means laying off the Green Lantern jokes. We get it. Now move forward, because there’s greatness here.